Patrick provides legal assistance to NNNCo as a partner of Baker & McKenzie. He is one of Australia’s leading telco and technology lawyers with specialist expertise in the sector specific regulation and data security. 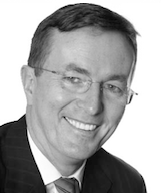 He is Chair of the Communications Security Reference Panel at Communications Alliance, was twice Chair of the former Internet Industry Association and is a past president of the Law Society of New South Wales.